Purchasing a home is not a mean task. It requires a lot of money that is often impossible for the people belonging to the lower income groups to arrange. To provide the homeless people with permanent shelters, the state government of Odisha has come with a new welfare scheme for the individuals belonging to LIG and EWS sections. 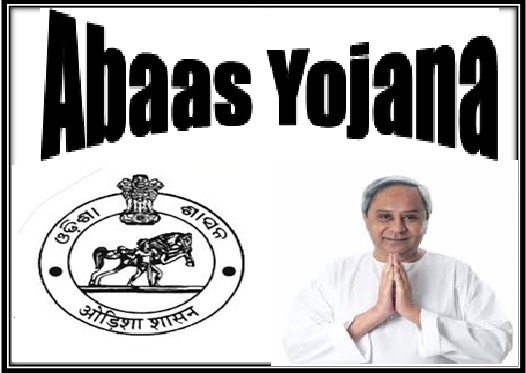 The name of the scheme is Abaas Yojana. The program is also known by the name Odisha Urban Housing Mission. Providing permanent shelter to the poor and needy – The main aim of the state government of the scheme is to allot permanent homes to those who do not possess one. The homes will be allocated at low costs. Catering to the needs of the poor section – The scheme has been implemented for providing homes to the people who belong to the low income groups and the weaker economic sections of the society. The slum dwellers will also be catered to under the program. Target of the scheme – As per the target of the scheme, the government wants to provide about 50,000 homes to the needy by the end of the financial year 2016 to 2017. Apart from this, the state authority aims at constructing 1 lakh more units by the end of 2018. Time duration of the scheme – The state government of Odisha has taken the target that the entire project will be completed within a span of seven years. Coverage area of the scheme – It has been mentioned in the scheme that the main areas of the state will be targeted at first. Rourkela, Bhubaneswar, Berhampur, Katak and Sambalpur fall in this list. Providing other facilities – Providing homes at low price is not the only aim of the authority via the implementation of the scheme. The people who get residential units under the program will also get additional facility of water supply, power connection, community centers, proper drainage system, and roads. Cost and distribution of the expense – It has been estimated that the cost of each residential unit will vary between 6 to 7 lakhs each. The cost is too high for the poor sections of the society. The central government will donate 1.51 lakhs, the applicant will have to arrange a sum of 1.51 lakhs and the rest of the expense will be taken care of by the state. PPP mode of operation – Constructing such high number of housing units is not a mean task. To ensure that proper implementation of the project is done, the authority will work on a PPP mode. PPP stands for Public Private Partnership. Reservation of the units – The state authority has declared that at least 10% of all the units, which fall within the range of 2000 sq. m will be reserved for special category. Providing land to developers for free – It has been highlighted in the scheme that the state government will assist the land developers or the building constructors by providing suitable land free of cost. The excess lands on the outer limits of the cities will be chosen. It will assist in increasing the expanse of the city as well. Use of adequate technology – To ensure that the quality of the residential units is maintained, adequate machines and technology will be made use of. The use of pre-fabrication and pre-casting are primary among these. Acquiring government subsidy – The candidate who falls in the weaker economic sections will be allowed to apply for acquiring special subsidy or grant from the state government. Application for the scheme – The state government will soon launch an app for the scheme. The application will assist both the beneficiary and the state authority in keeping a track of the progress of the construction of the residential units. Resident of the state – As the development of the program has been done especially for providing permanent shelter to the homeless individuals in the state; the person applying for the low cost homes will have to be residents of Odisha. They need to possess proper residential proof documents. Low income group – It has been mentioned in the draft of the scheme that the applicants will have to belong to either the low income group or the weaker economic section of the society. For this, the applicants need to provide proper BPL documents and income certificates. Should not possess any home – Only those people will be able to apply under the scheme who do not possess any permanent home in the state or any other part of the country. Proper documents must be provided for the verification of this detail. When the program will be completed, it will assist the state authority in meeting the housing requirements of the poor and needy sections of the state. The scheme will put a permanent roof on the heads of all in the state.